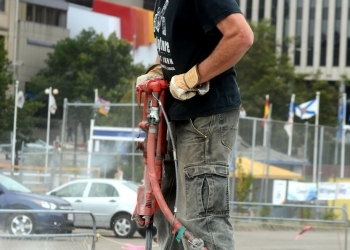 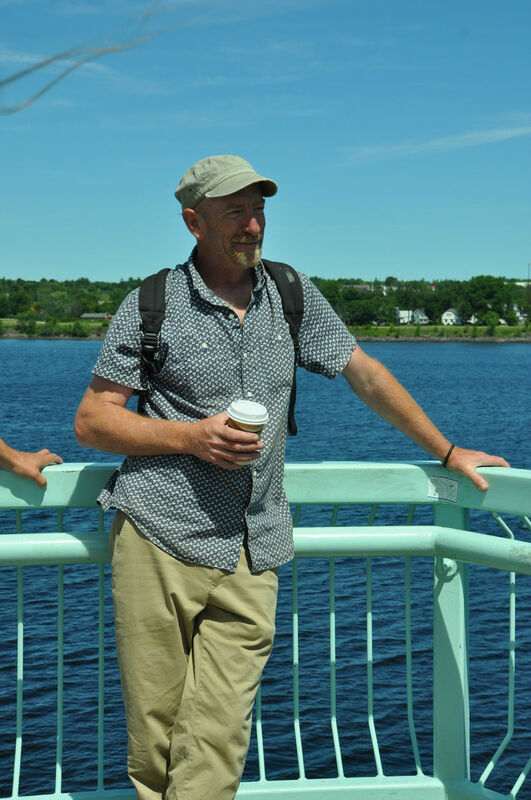 James Boyd is from Hampton, New Brunswick, Canada. 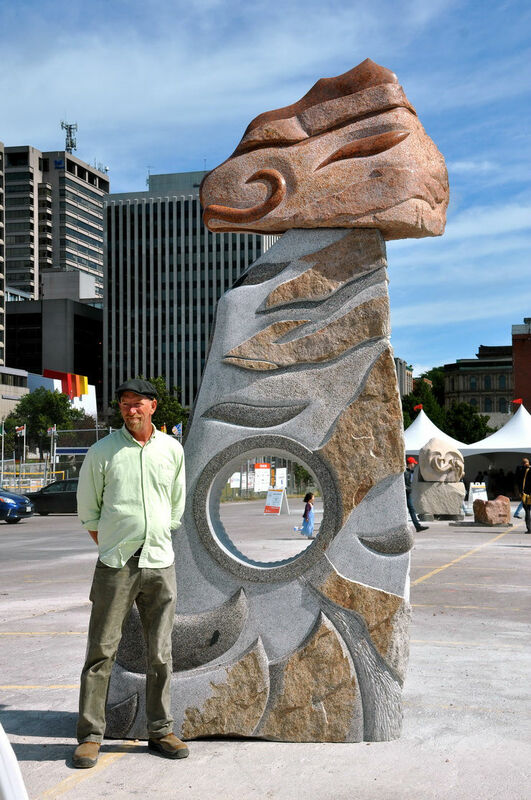 Born in Saint John in 1963, he has a BFA with a Major in Sculpture from Nova Scotia College of Art and Design in Halifax, Canada, and a BEd from the University of New Brunswick in Fredericton, Canada. 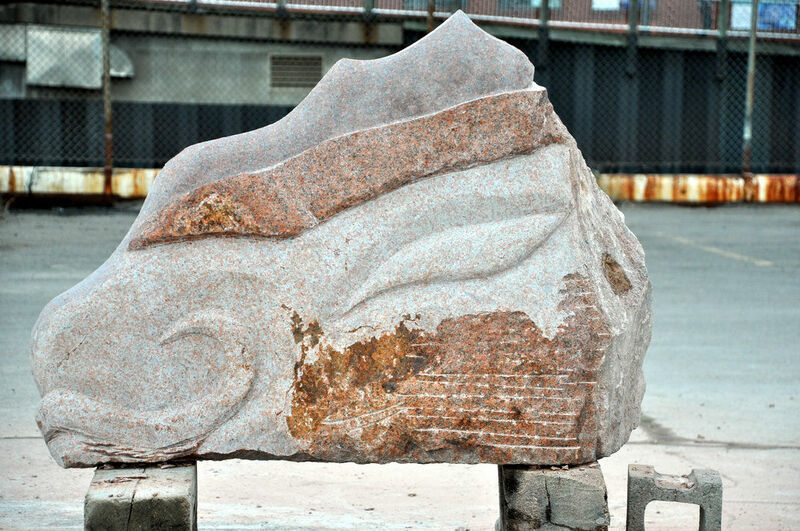 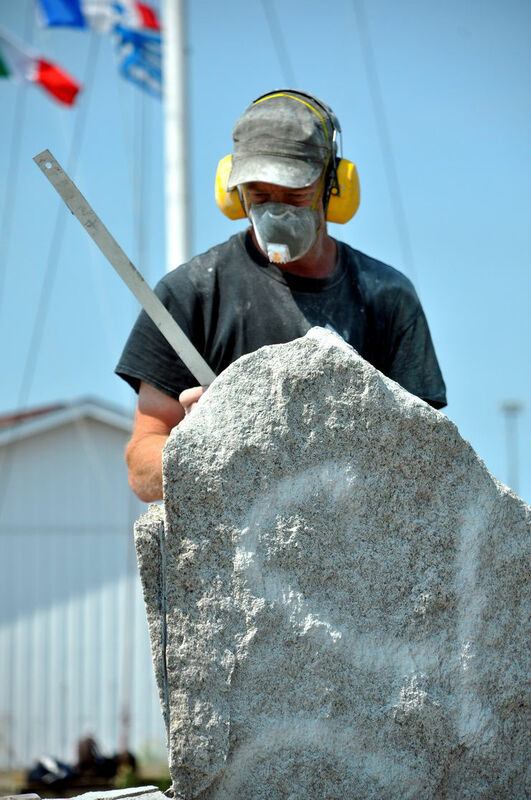 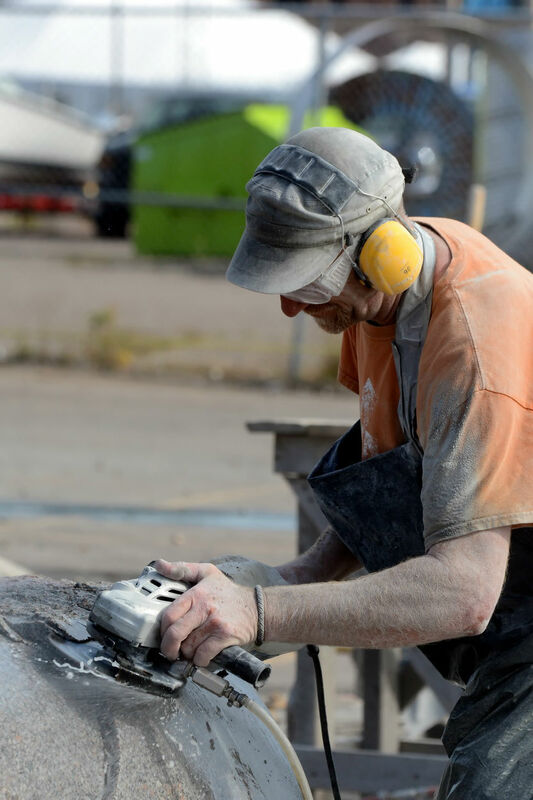 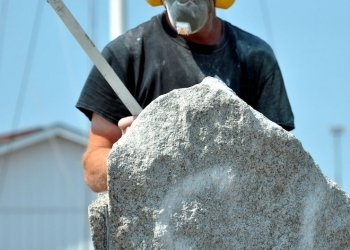 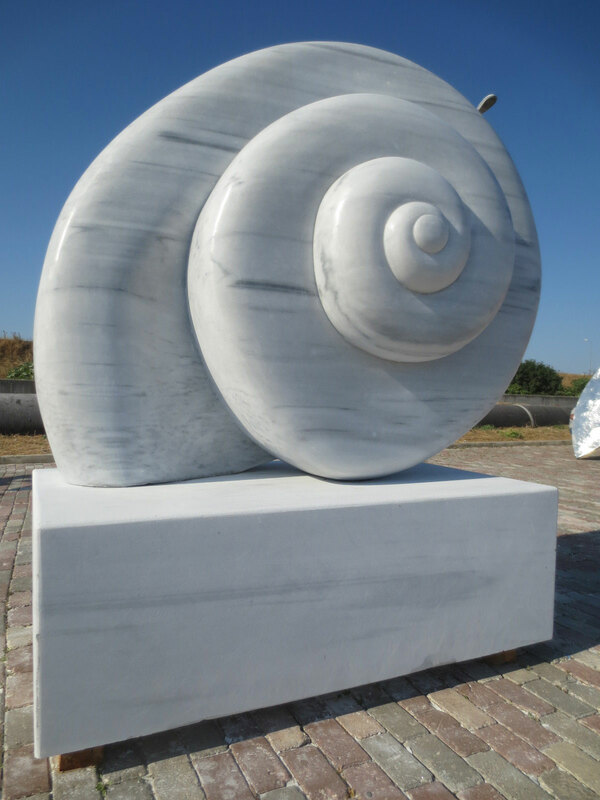 Jim has been involved in several international sculpture symposia, including the Schoodic International Sculpture Symposium in 2011, Sculpture Saint John 2012, 2014, & 2016, and in Istanbul, Turkey in 2013. 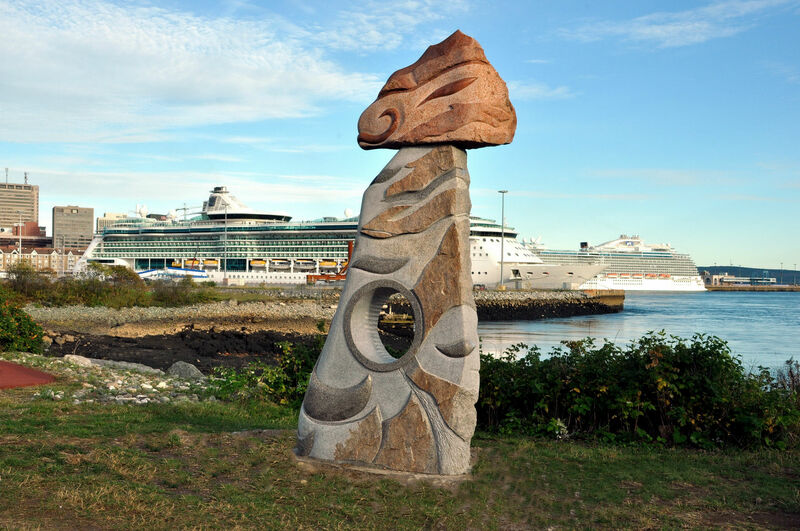 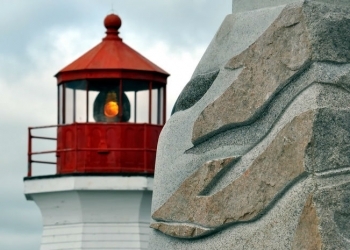 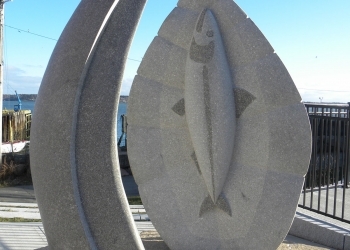 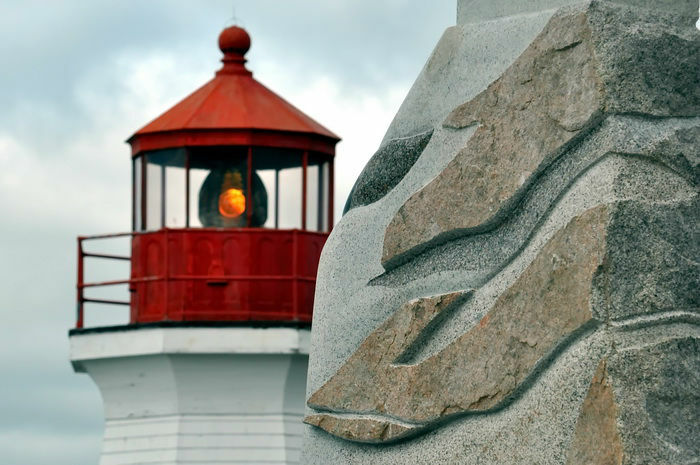 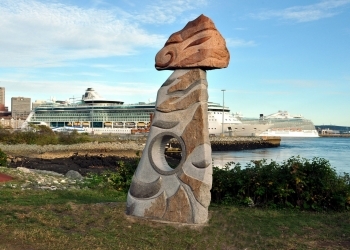 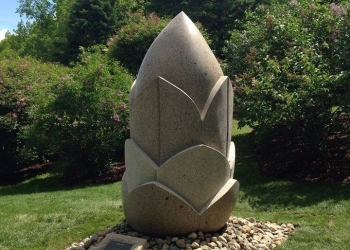 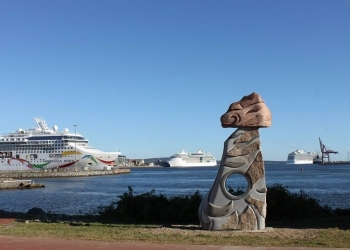 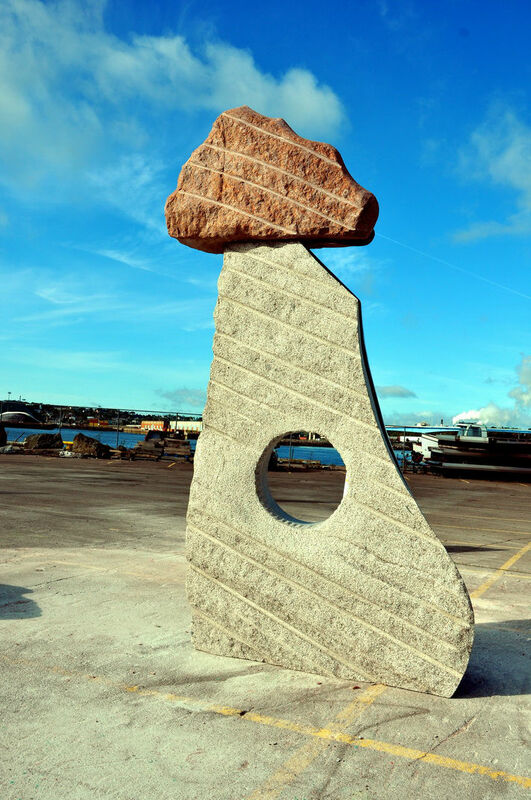 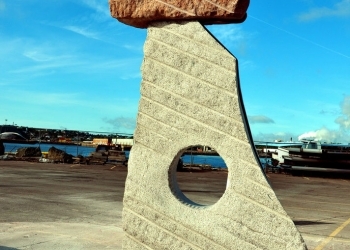 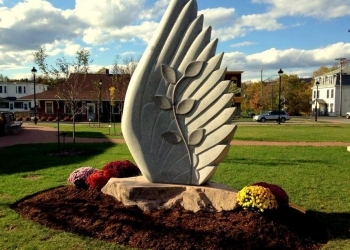 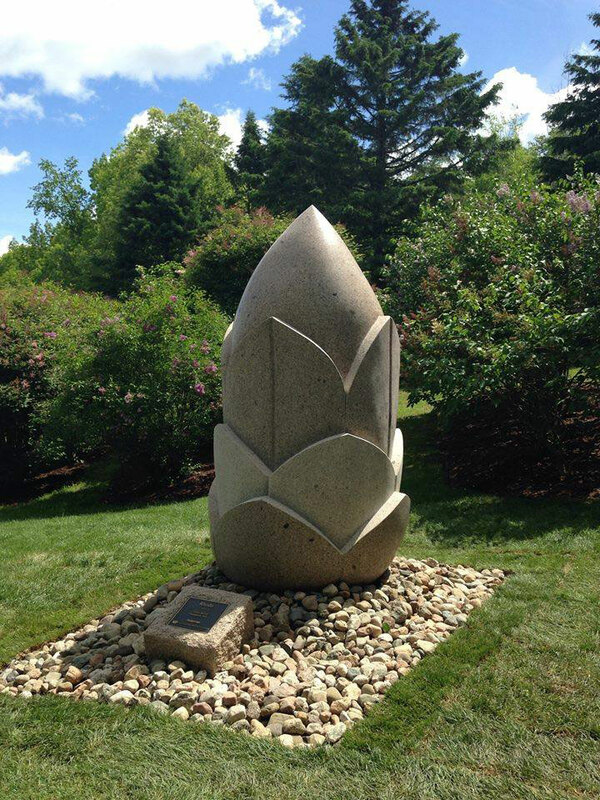 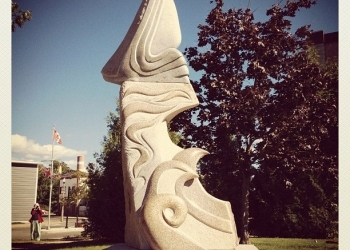 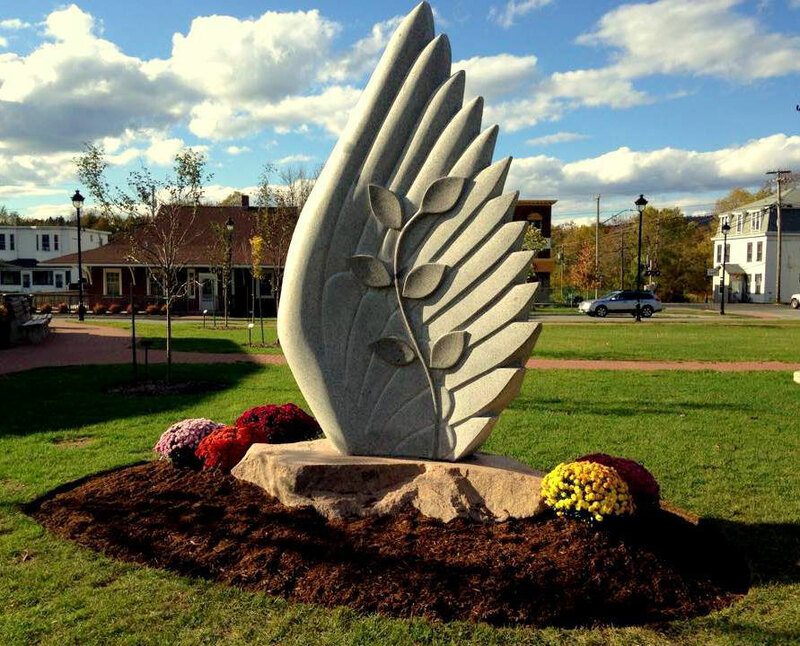 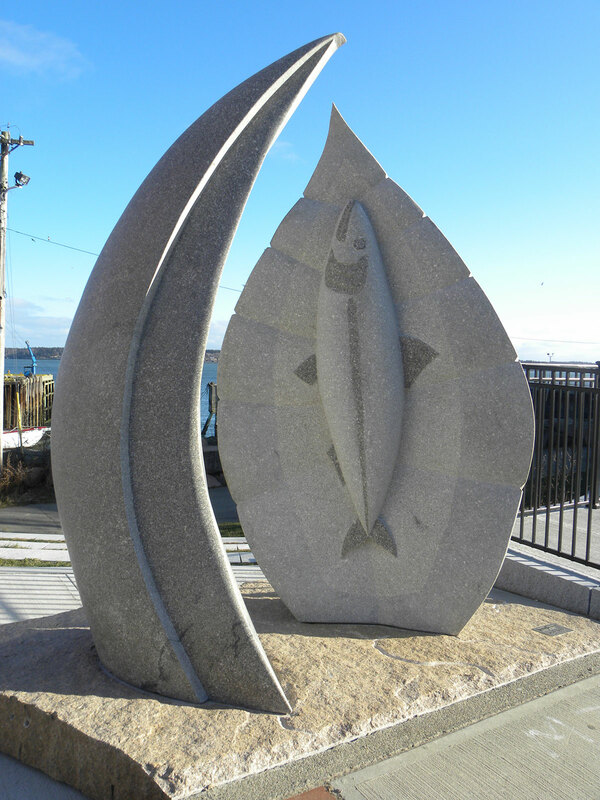 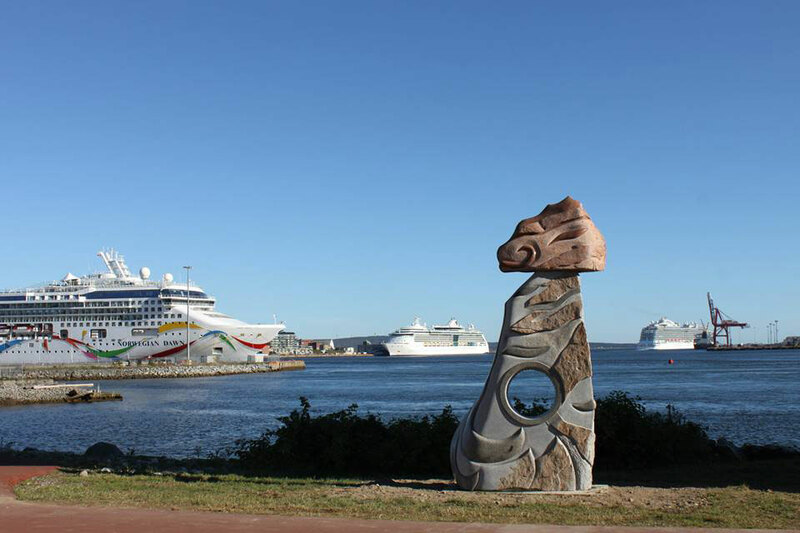 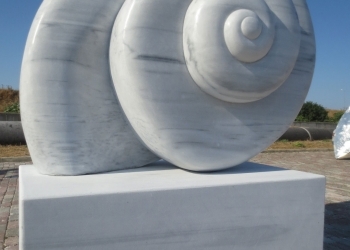 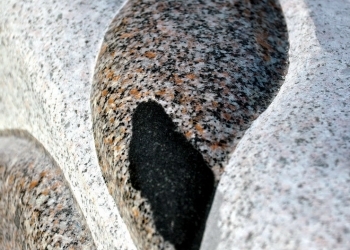 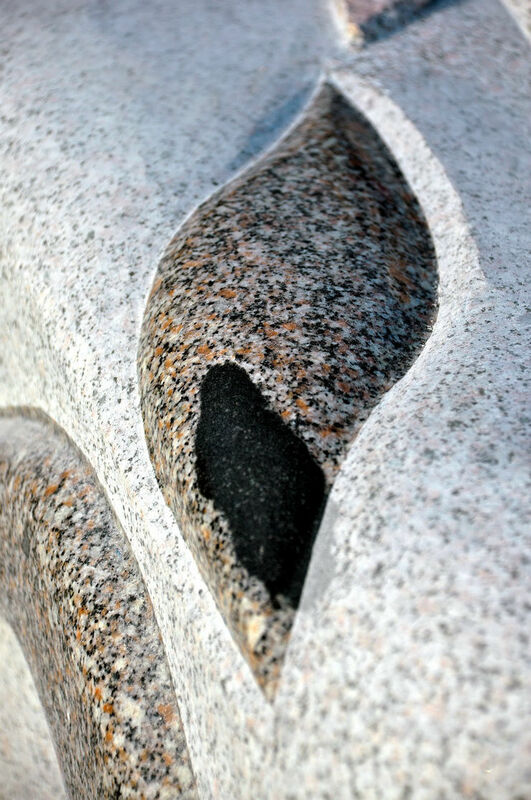 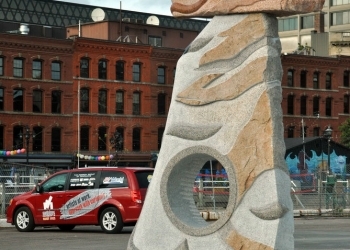 Jim’s sculptures on the International Sculpture Trail are located in St George, Hampton and Saint John and he has recently completed a sculpture in Fredericton titled Rhodo and a marble piece called Bergeon for the Town of Hampton. 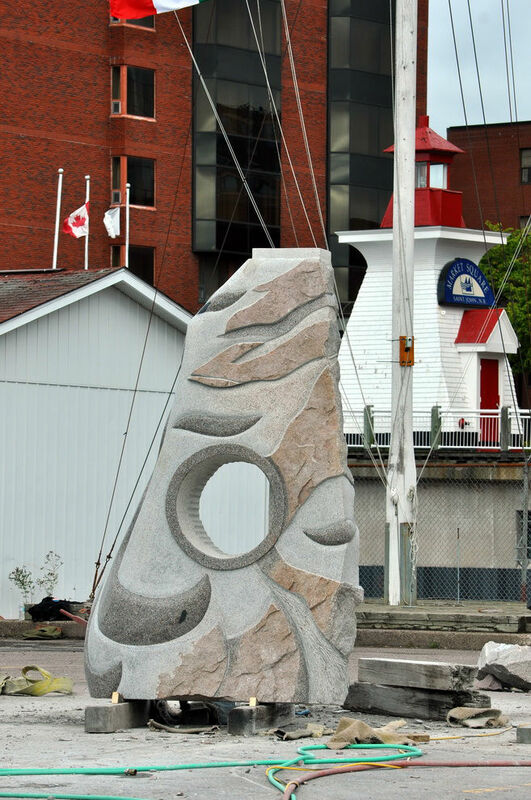 Jim has recently received large commissions on pieces located in Hampton and Fredericton. 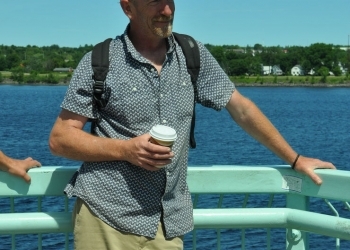 The Bay of Fundy and the Saint John River are cherished by many New Brunswickers. 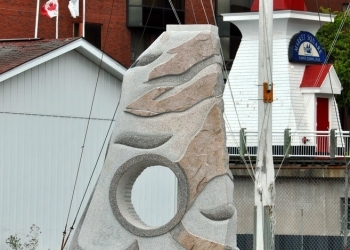 Having grown up in Saint John, I feel a deep connection for this area. 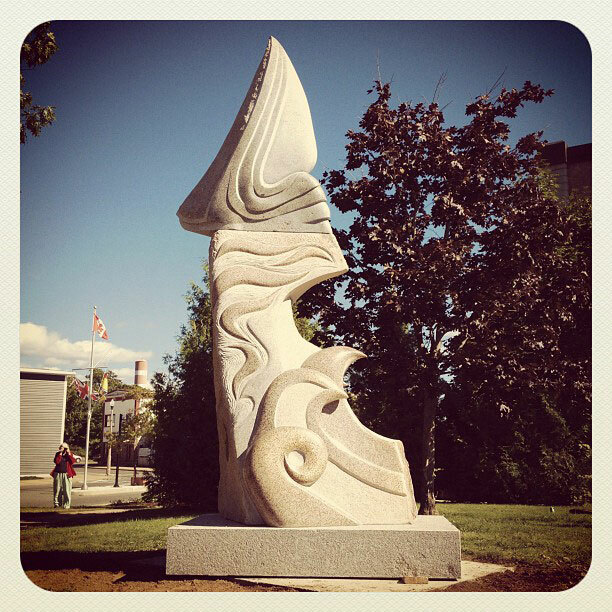 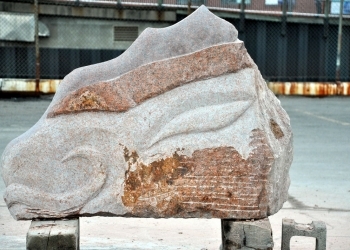 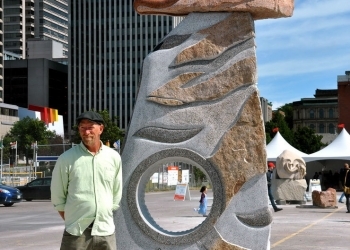 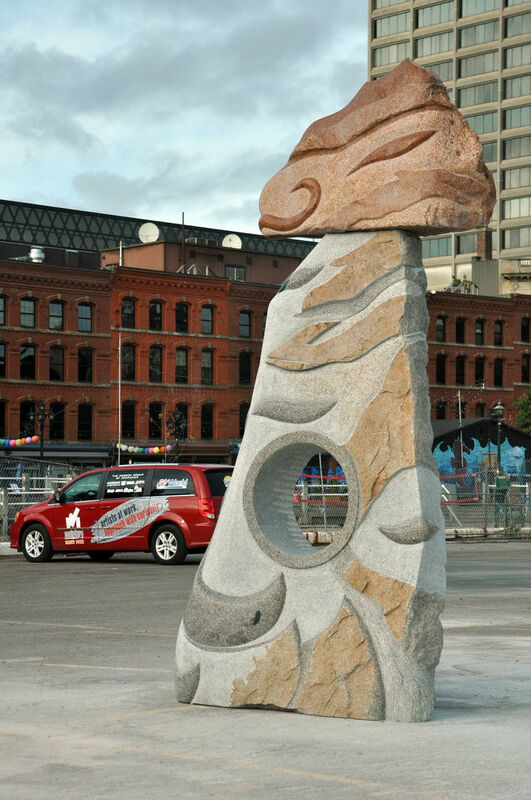 My sculpture “Wind and Water” is inspired by my memories and experiences in this special region of our province. 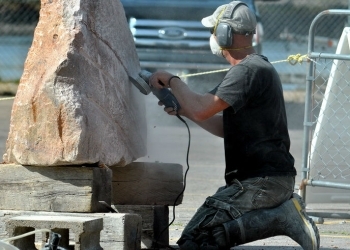 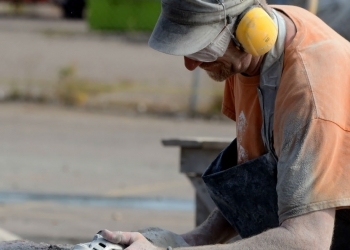 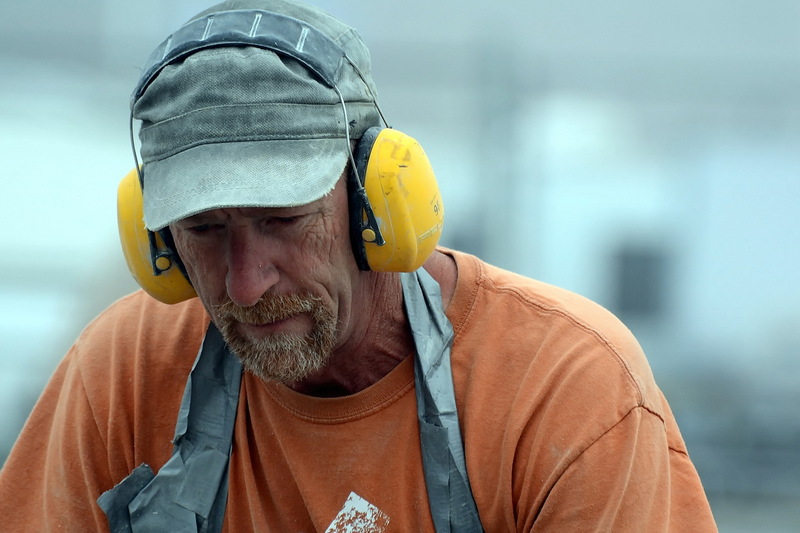 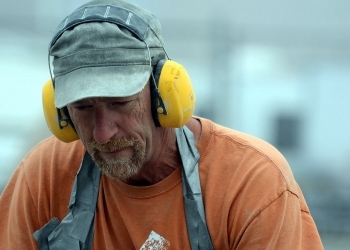 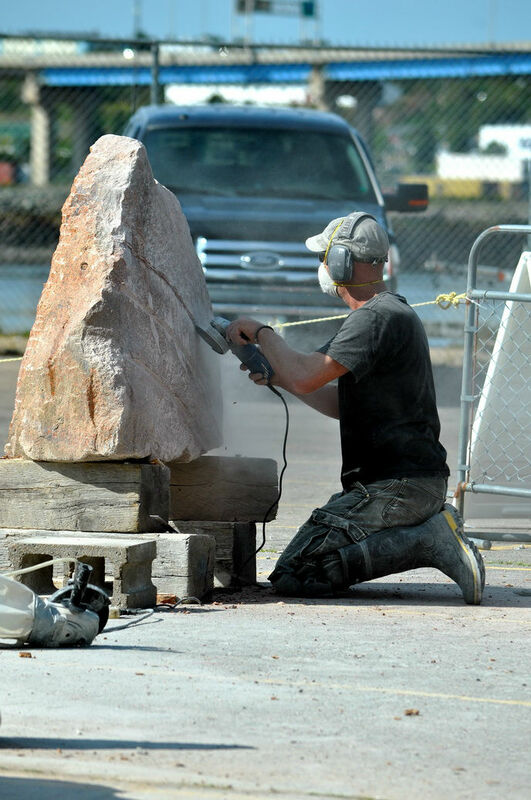 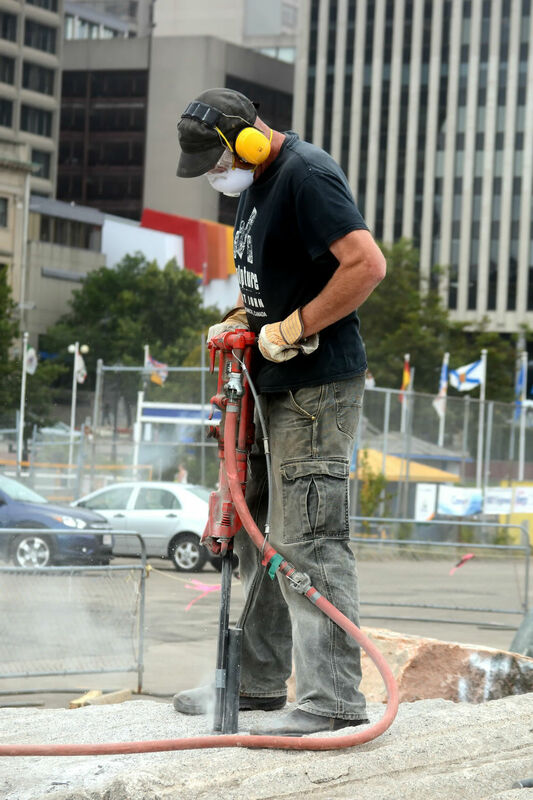 Jim Boyd working on his 2016 symposium sculpture "Wind and Water"